Summer has been very good to us this year. 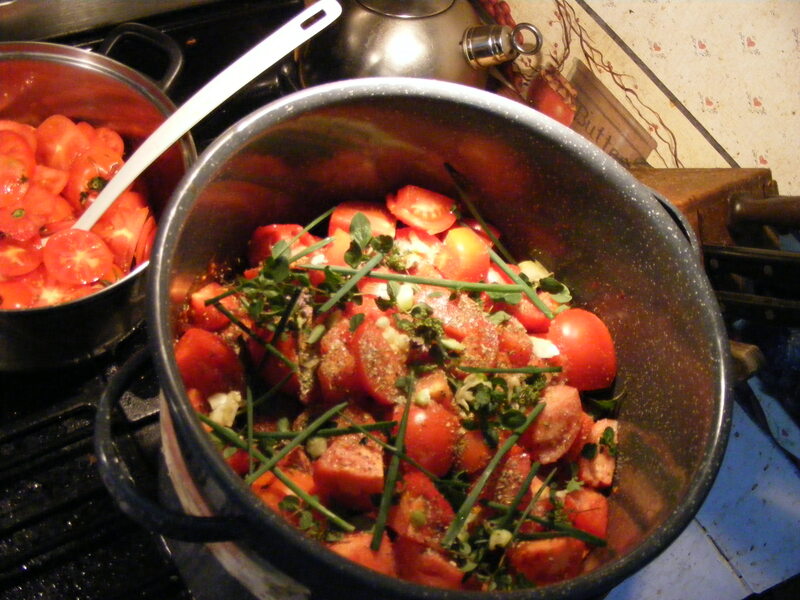 Some of our tomatoes and herbs simmering today. Soon to head to pantry for winter warmth. Cold chilly day ? Jar -o- fresh soup ! Company ? Jar -o- fresh sauce for pasta ! And let us not forget…a sip of tomato wine for to wash it all down ! Bring on the winter !! (just kidding…calm down now !) Enjoy.